For a long time, I had wanted to add an easel painting space to my house. A place where the kids were free to go and paint on a whim. But the space in my little house is limited and the potential to have paint on my carpets and walls and furniture is at an all time high! 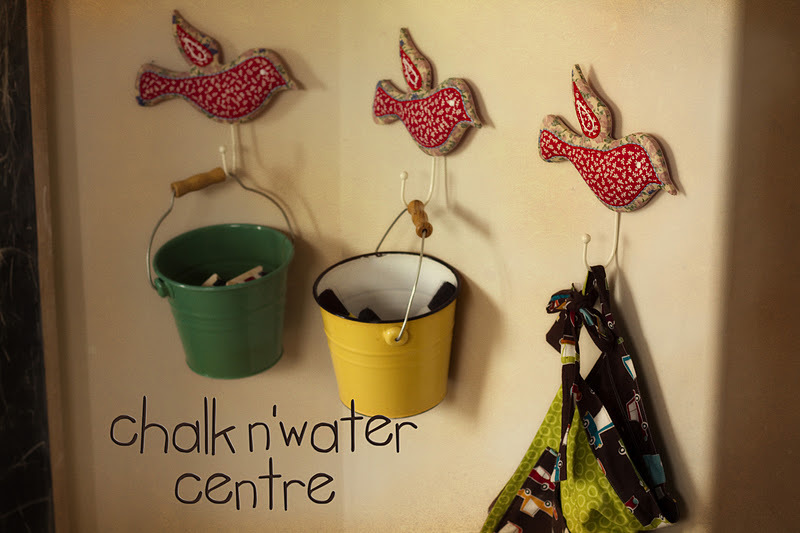 I had already put a chalk centre on the outside of my kitchen island and my lovely, and brilliant cousin Krymsen suggested I let the kids paint with water and brushes on the chalkboard. Well, didn’t I love this idea? The children could paint as they pleased, my furniture and carpets would remain safe, AND my chalkboard would get a cleaning! And so I added one more bucket to the wall. The first one contains chalk and brushes. 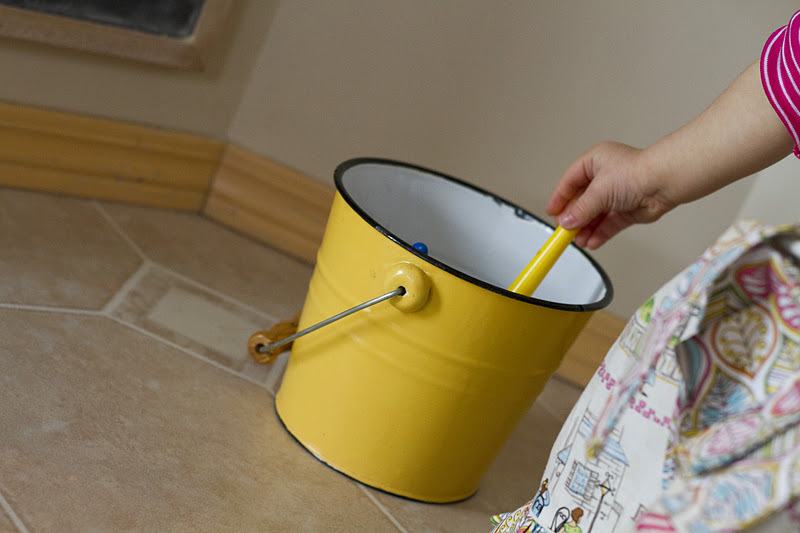 The second one contains brushes, and when the kids want to paint, I unhook it from the wall and fill it with a bit of water and put it on the floor in front of the board. And there you have it…6 days of fun water water play activities that you can do inside your home…even on the coldest of days! I don’t think I can fully express how much I appreciate you. Your day home is just such a fun place to learn. Thank you so much for sharing all these little pieces of your day, I love coming along with you. Apparently I should know you because all of my friends do. But I didn't. Until now. Great blog, so many wonderful ideas. Brilliant! I love this idea. The little one in this picture looks almost like my granddaughter. We’ll have to try this. 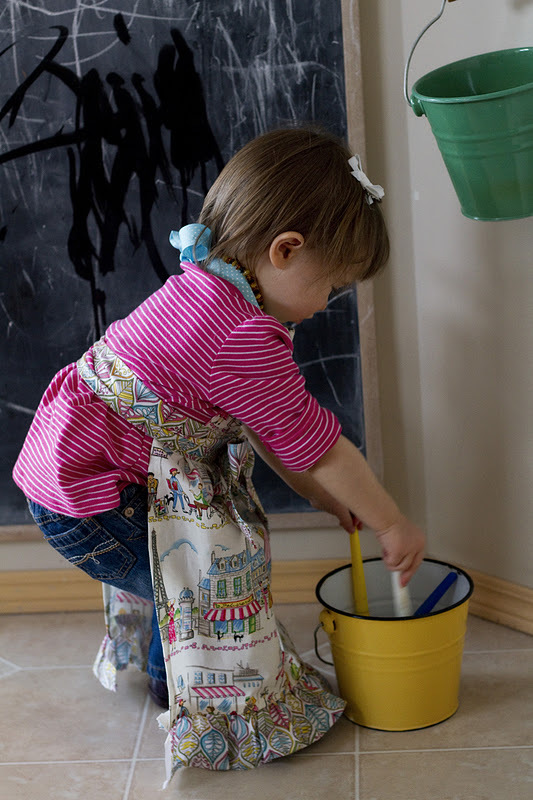 I know how much kiddos love both chalkboards and painting with water. 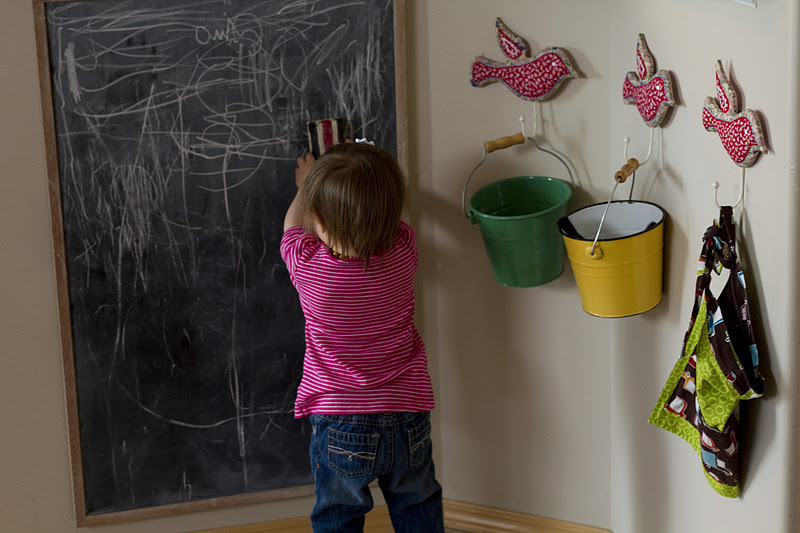 Most chalkboards are too high up for the littlest ones. Are there any issues with water on the floor? I’m thinking it might be a slip hazard. What’s been your experience? 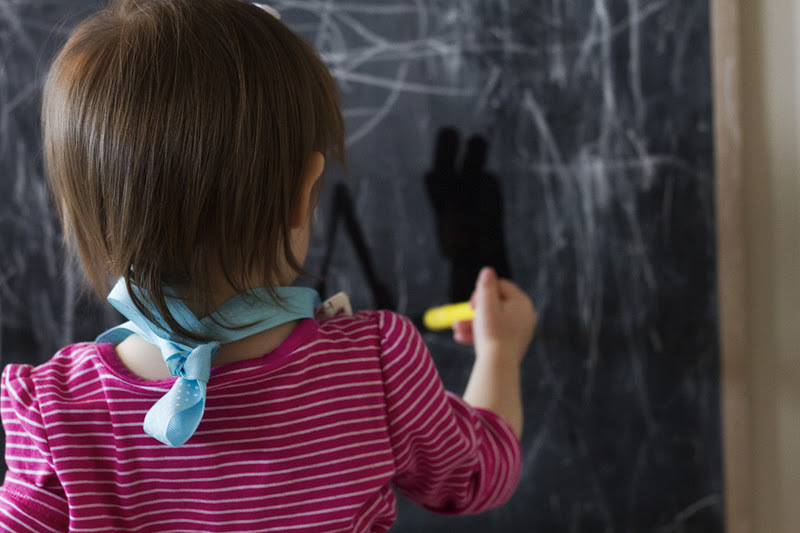 We haven’t had too much of an issue…many of the smalls like to sit and paint there.But if you are worried, maybe toss a small bathmat in front of the chalkboard? Then it won’t slip because it’s rubberized on the bottom? That’s right!! Just water and brushes! I’ve never met a kid in 23 years that hasn’t enjoyed this activity! 🙂 And thank you for sharing! Welcome! !